DAVAO CITY was once hailed as the “Land of Promise”. Do you know where it came from? Having been raised in rural area of Cateel, going to the big city of Davao was something I always look forward to. Davao used to be a city blessed with simplicity and laid-back urban life before. Unlike today, Davao City takes its pride having numerous numbers of beautiful places, parks, plaza and recreational activities to go to. During my grade school years, the summer months of April and May became much exciting because my parents would send me to Davao to spend my summer vacation. It was pretty exciting because I got to see big buildings, shopping centers (no malls at that time), parks, big bright streets lights and other amazing things my hometown didn’t have at that time. Feeling like a first timer at all times, spending summer in the Big City was certainly a whole lot fun. But among these great escapades, there’s a place that until now I still come and visit to relive and reminisce my fondest childhood memories. 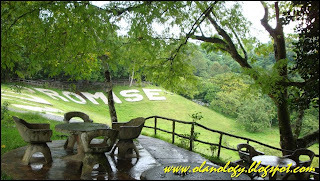 The place is humbly called GAP FARMING ORCHARD RESORT or simply the GAP FARM. 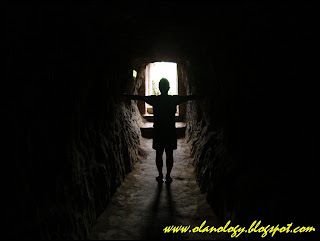 GAP FARM was among the main tourist attractions of Davao City back in the 80’s and 90’s before the era of Davao’s new attraction like the Eagle’s Park, Crocodile Park, Inland and Mountain Resorts, Beach Resorts and People’s Park among others. I remember its old Golden Years where excursions, family outings and school trips will not be complete with out going to the GAP Farm. 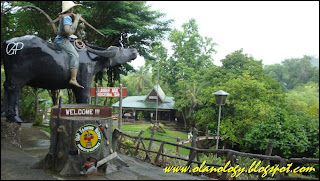 Entering the park, a huge figure of a farmer riding his carabao warmly greets its visitors to the little wonders of the park. Historical figures, parade of sculptured animals, parade of Philippines president busts, different tribes of Mindanao among others are things you’ll see in the place. 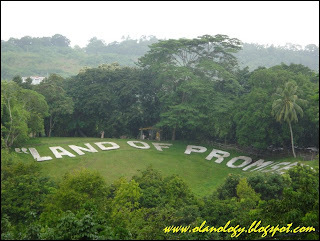 How can one forget Davao’s Famous Tagline - the “Land Of Promise”? This is used in many of Davao’s tourism and promotional video. It once became a city's landmark seen in various brochures and leaflets. "Land Of Promise" scene is captured right at the very heart of Gap Farm. Until now it exists! And yes, the city owed it at the GAP Farm! 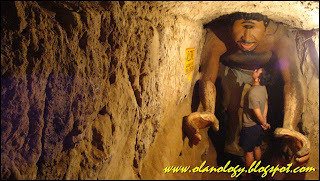 And hola hola hola – the famous creature of them all - the one eyed giant monster name CYCLOP. 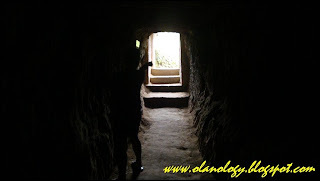 It is confined in an aged tunnel built during Japanese occupation. I got goosebumps whenever i entered this creepy tunnel. 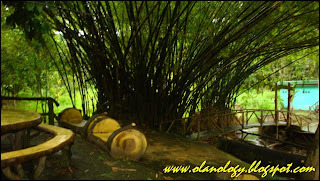 These are the SIMPLE BEAUTIES of Gap Farm that used to be one of the wonders of Davao. For me, though there are new parks built in the city and new state of the art places to explore, still it will always be nice to come back and savor the childish memories and experience once experienced in this lovely place. galing olan! dami ko talagang hindi alam tungkol sa davao. 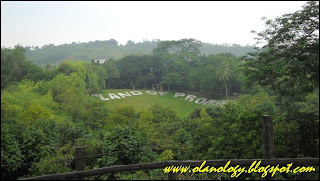 hindi ko nga alam na land of the promise pala tawag dyan. sabi mo sikat ito nung 80s and 90s pero ang ganda pa rin naman. gustong gusto ko ang mga lugar na maraming kahoy. makakapunta rin ako ng davao this year. gusto ko kasing mag slide for life dahil nandyan sa davao ang may pinakamahabang zipline. salamat sa pagbalik mo. matutuwa din si oman dito. kasi pinaguusapan namin kayo nina jp dahil kayo ang mata ng mga bloggers sa davao pagdating sa pasyalan. Hehe. This has always been part of the itinerary during field trips. Been here twice. Lahat field trips. Haha. Thanks for sharing this part of Davao and the trivia is so informative. Hope to see more posts from now on. this would have been one place i have visited if my visit to Davao pushed through last december. sayang! 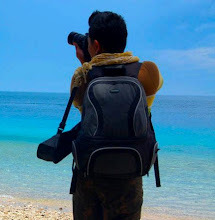 hello---I think we share the same passion for traveling that's why I decided to add you in my blog list---hope okay lang---see you around~!!!!! Hi Olan!!!! wow, that's nice. thanks! gumanda ang GAP farm ng dahil sa 'yo. kailan ka pumunta? nandun kami last week ah! di tayo nagkita. alam mo ang pinaka favorite ko dun? yung mga statue ng iba't ibang "kilabot"...yung mga aswang, white lady, mananaggal, tikbalang and the like. nasip ko tuloy, paano kung gabi na sa GAP tapos wala ng tao, wala ng ingay....'di kaya nagiging totoo 'yung mga 'yon??? ano sa tingin mo? feeling ko kasi nagiging totoo sila pag gabi at pagala-gala sa GAP. bwahahahahaha!! at nanakot pa. mga dude, joke lang po 'yun! punta kayo davao city...puntahan nyo ang GAP farm, maganda talaga dito. 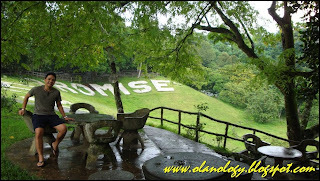 walang aswang promise! 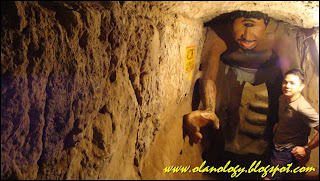 That cyclop thing is creepy!!! 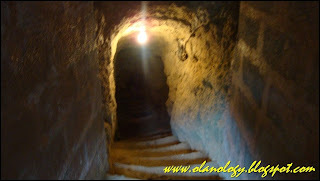 @ AETHAN: you should visit it again and see for yourself the difference. for me, it is still the same. a lot of reminiscence. @ THE DONG: ei dong, salamat po. hindi ko man naa-update blog ko but i kept readin your posts. yeah, got it right. dito sa davao ang longest, fastest, tallest zipline in asia. that will be my next posts. watch out for that. 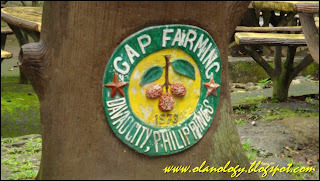 @ AYEL: yeah, GAP Farm used to be one of the iteniraries for field trips. I hope till now it is. @ LHUREY: when in davao, try mo din to puntahan. Php 20.00 lang entrance. 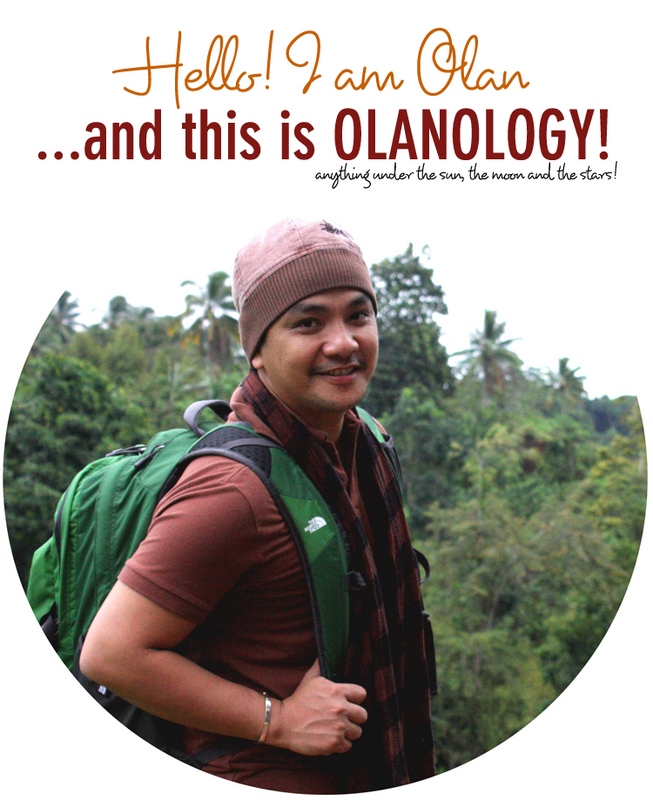 @ ABOU: i think you should come and visit mindanao. davao must be on your top list. @ LAWSTUDE; ei bro, its nice to be back. yeah, i'll really really find time for updates. dami ko napuntahan and hindi ko man man naikuento dito. watch for out my next post. salamat lawstude! @ R-YO: nabasa ko nga sa blog mo umuwi ka pinas. sayang at di ka nagawi dito. @ PUSAnG-GALA: salamat po sa pag add! i'm honored! @ JEI: hahahaha! yeah yeah yeah, creepy tlga yun lalo na cguro pag gabi dagdagan mo pa malagubat na palce nito. hahaha! @ MAC CALLISTER: yeah, creepy tlga! takot ako nung bata pa ako pumasok dun. hehehe. 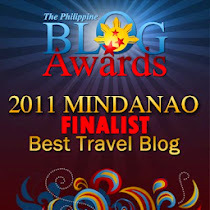 try mo visit mindanao. for a change. ginawa ba ng mga hapon si Cyclops, or bago lang? dami pala magagandang places dyan sa Davao, so far, i've only heard about Pearl Farm. Congratulations on an interesting article and pictures. The GAP Farm has been added as an attraction at the trivago travel community - perhaps you would like to post a review or upload some pictures? i was there yesterday.. my first time. 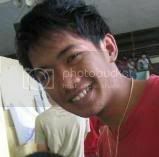 dun kami namasyal ng boyfriend ko.. more than 10 years na daw syang di naka visit dun. whew! ang ganda ang daming bunga ng mga fruit trees dun grabe..they sell their harvest at cheaper price. in fairness ang sarap nung native durian nila. ilagay nyo naman contact numbers nyo para madali kayong makontak. 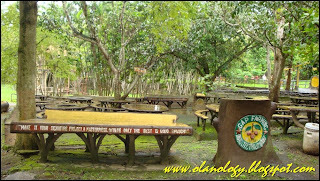 DIS JANUARY 2012 MAGFIELDTRIP KAMI DYAN W/ MY STUDENTS IN PRESCHOOL.